With rumors of a standalone Apple television set ramping up, Digitimes is reporting that Apple has told suppliers to begin prepping for the manufacturing of an Apple TV set in the first business quarter of 2012, with an expected release in the fall. The TVs in question will only be available in 32-inch and 37-inch flavors initially, according to the report. Rumors have suggested that Apple will eventually abandon the current Apple TV set-top box and focus on an integrated solution with its own television hardware. The supply chain of Apple will start preparing materials for iTV sets in the first quarter of 2012 in order to meet Apple’s schedule to launch the new display products in the second or the third quarter of 2012, according to industry sources. A previous report from The New York Times claimed that Apple is working on a Siri-powered television with a projected release of late-2012 or early-2013. This report from Digitimes lines up with a recent piece from The Wall Street Journal in which it is said that Apple will reduce the price of the current Apple TV boxes and continue to sell them alongside a new television. Apple executives have reportedly been planning an ‘iTV’ for years, with Steve Jobs admitting that he had “finally cracked it” to biographer Walter Isaacson. 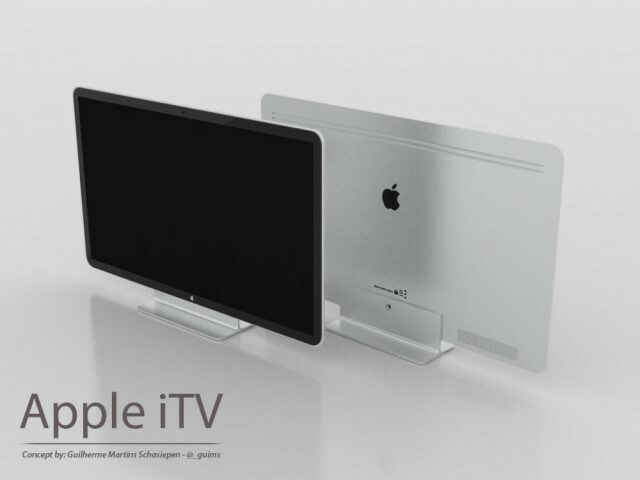 Analysts have predicted that Apple is working to bring TV-like functionality to the iMac instead of creating a standalone television. Rumors from overseas have also indicated that Apple is focusing on smaller screen sizes for its future TVs. The real question will be whether Apple decides to release one more iteration of the Apple TV set-top box before lowering its retail price. Since people don’t buy new televisions often, it would make sense to continue offering a plug-in solution for customers that recently bought an expensive flatscreen.